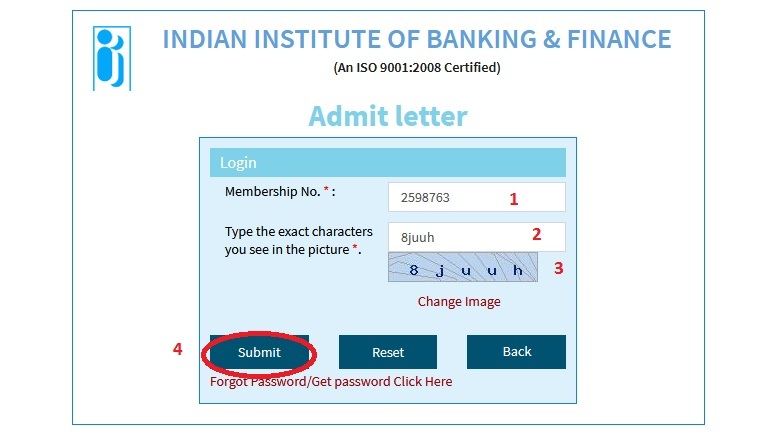 IIBF CAIIB Admit Card 2018 will be issued on the official website of the Indian Institute of Banking and Finance. ** Candidates who will submit their online application form before or on the last date along with the application fee can get the admit card for the examination. ** All the details related to the exam will be mentioned on the admit card like the name of the candidates, roll no., date and time of the examination, venue of the exam. Step 3 : Next Page will be opened, click on “Admit Cards for CAIIB/CAIIB Elective June 2018” link, then enter the following details and get your admit card. 2. Enter the exact characters you see in the picture *. 3. Click on “Submit” button. This is to bring to the notice of candidates that due to certain unavoidable circumstances; venues/timing of examination for some candidates has been changed. For candidates whose venue/venue address and or timing of examination has been changed, institute has emailed the revised admit letter after re-allocating the venue/timing of examination to other venues. ** Question Paper will contain 100 objective type multiple choice questions for 100 marks including questions based on case studies/case lets. The Institute may, however, vary the number of questions to be asked for a subject. ** The examination will be held in Online Mode only. ** There will NOT be negative marking for wrong answers. I need the admit card of IIBF Exam 2019.